What Are You Seeking from Your Copying Provider? Every business needs printer products and a quality photocopier in order to publish the content and materials they need in order to sell and offer their products and services. If you are in a quandary as to whom to use for your copying source, then you need to find a dealer that has a good reputation locally, who features a globally renowned brand. The service should also help you integrate and utilise your software and hardware for enhanced workflow and reduction in costs. A company should have a solid reputation in the copying business. For instance, Scope Business Imaging has been doing business since 1986 and is using its experience to deliver upgraded copying and printing products today. It also helps to use the services of a company that knows all the intricacies involved in managing printing and copying. You also want a company that services a broad service area locally. The company should also provide excellent service. Customers do not like to wait for their machines to be serviced. When you find a company that can respond to your service call within a 2-hour period, that is the kind of company you want to use for any copier servicing. 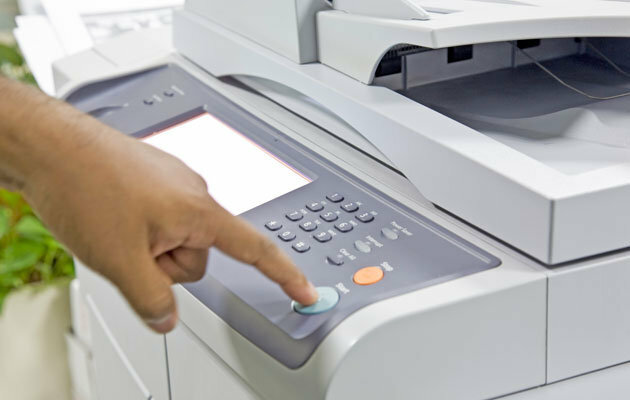 Therefore, a company should provide both photocopiers and printers in both A3 and A4 formats to meet the requirements of a company’s need or industry. Usually, businesses like to use monochrome copiers for general office copying or the same type of printers for printing large mailings, letter or invoice runs. Using a black and white printer reduces expenses because color toner is more costly. Color printers are generally used for printing professional presentations, including corporate-branded stationery, letterheads, and brochures. Some of the machines feature password protected access, which means a business can limit the number of people who are permitted to use the machines. Some businesses create cost-cutting measures by managing their print services. For example, by choosing a multi functional device, you can perform a variety of operations on one machine. For example, a multi function device may offer such services as printing, copying, scanning and faxing. This reduces an office’s space requirements and makes it easier to manage tasks. In addition, newer printers provide options for monitoring paper and toner use by an individual project, department or staff member. You have a lot of options available to you. Therefore, do your due diligence when selecting an imaging company – make sure it receives high marks in both service and product offerings. When you take this approach, you will be able to realize the goals you set for your business and your cost-cutting needs.